More than 1,000 people have been arrested in northeastern India as they came to a police recruitment exam with fake documents, local media said. It appears the detained people were hired by applicants to pass the physical fitness test. All the impersonators were detained less than two weeks after checks of their documents, which they provided to attend the exam for recruiting constables for the Bihar police. The highest number of arrests was 200 on March 28. “Never before were such a large number of aspirants arrested for impersonating,” a police officer said Sunday, The Times of India reported. A total of 1,068 impersonators, arrested between March 16 and 28, have been identified and detected during the period of screening tests that ended Saturday. The case’s preliminary investigation revealed that those detained were hired by aspirants. All the arrested impersonators were taken to court and sent to jail. 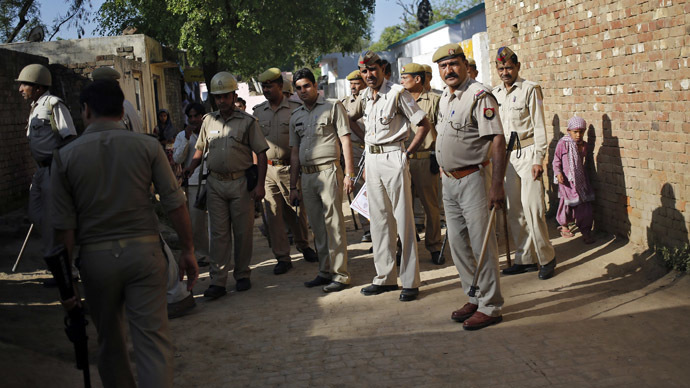 The state government initiated the recruitment process last year, aiming to hire 11,783 constables. Some 52,000 candidates were selected for the documents screening at Patliputra Sports Complex. The Bihar central selection board for constables has conducted written exams at various centers in the state. The incident is not unique, but last year’s figures were less impressive - 150 arrests after the state-wide written examination for the recruitment of police constables. Earlier this month more than 1,000 people, including teachers, parents and police, were arrested in northeastern India after evidence of mass cheating appeared during state exams. Some of them had scaled the walls of school buildings to smuggle crib sheets into the students.